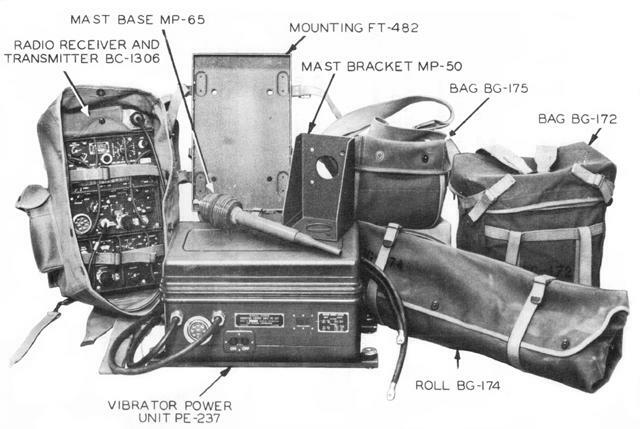 This bundle is for the basic Man-Pack / Field installation. The basic bundle includes the following Items, additional items for the installation such as, speaker can be selected from the list below. 1) BC-1306 Radio Receiver / Transmitter. 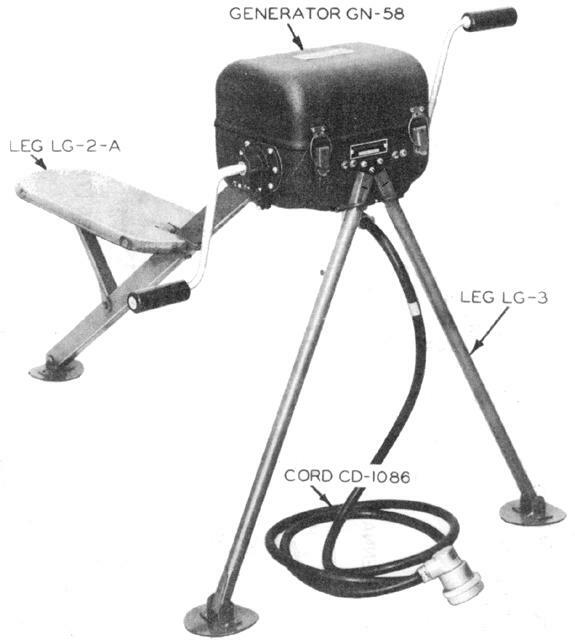 2) GN-58 Hand Generator with Seat & Legs. 5) CD-1086 Power Cable 2.14 Meters. 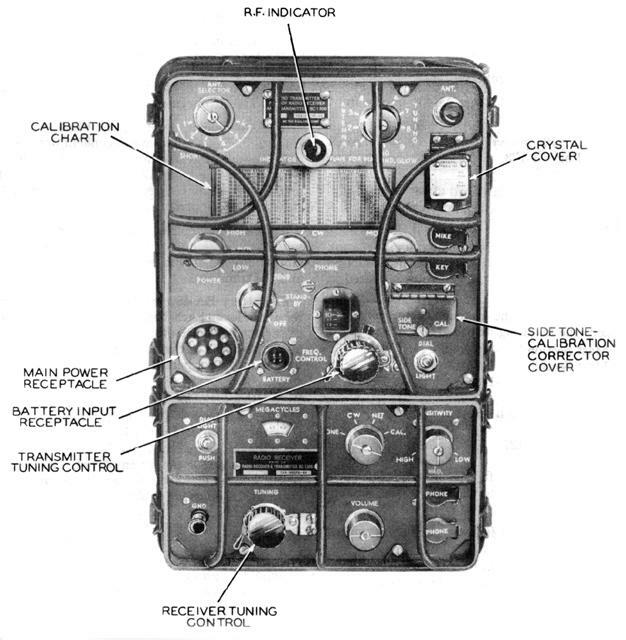 Radio Set SCR-694 is a HF two-way radio Receiver / Transmitter and radio telegraph unit which can provide communication between moving or stationary vehicles, or as a portable field radio set. The radio set can provide communication for up to 15 miles on voice (AM) and 30 miles on (CW) between moving vehicles, and a much longer range if used in stationary position with a long antenna. Frequency range is 3,800 kHz - 6,500 Khz. Uses tubes and works from 6, 12 or 24 Volts DC. 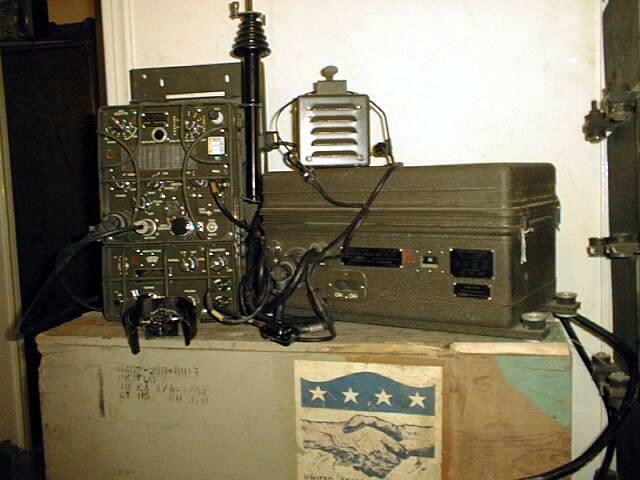 The radios are supplied fully operational with a DY-88 Power Unit and are in fair condition with the usual paint scratches on the case. The DY-88 Power Unit is post-war improvement to the war time PE-237 and is considerable smaller and much lighter in design. Optional accessories can include Hand Crank Generator with seat, Antenna System, Spares Tube Kit, Canvas Bags, Jeep Mounting Plates, etc. See table below for available accessories and package options.